I don’t know if it’s because the temperature in LA keeps posting over 100 or if it’s because I just returned home from a glorious week of laying on the beach in Maui but I am currently obsessed with all things Jet Set and Summer Glam! 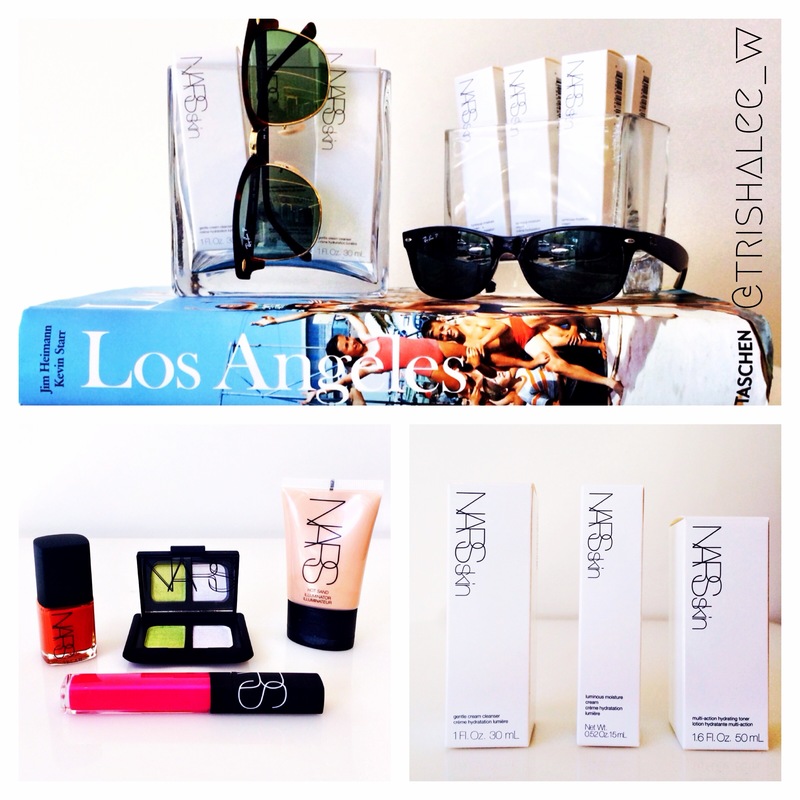 I was recently hanging at the NARS store on Melrose and had to stage a little photo shoot of my Summer Glam NARS essentials!!! How perfect are these NARS skin care mini’s and this summer it’s all about the brights for me! I will be accenting everything with a bright lip and bold nail! Don’t even get me started on my pop of color eye looks!!! Colors pictured: Libertango nail polish, Tropical Princess shadow duo, hot sand illuminator, and gloss in Priscilla! As always NARS Melrose has these in stock and ready to ship to you! And while the NARS ITA brush is once again sold out world wide I have it on good authority that NARS Melrose will be one of the first places to have it back in stock! Call the store today to get on the wait list and to stock up on your summer glam must haves!!! And if you live in the LA area schedule a field trip to the beautiful flagship store for a makeup lesson or swatch fest! Previous My most recent youtube video!!! Next Laser Hair Removal Review and Discount code!!! !